He was way ahead of his time. Allan Kardec was a free thinking man who lived in France in the nineteenth century. When still very young, he had hoped to unify various Christian sects into one religion, but he wasn’t successful in doing this. Kardec’s passion was to teach. He graduated law school and he was going to devote his life to law, like his father and grandfather, but his love of teaching won out. He ended up purchasing a large school for boys and the school flourished. He also purchased a large hall, and he offered courses and lectures on chemistry, physics, anatomy and astronomy. He was also very successful with this, and many of his students gained recognition in the scientific world. He also published many educational works, some of which are still in use in many French schools. What many people do not know is that Allan Kardec also had an interest mediumship and paranormal phenomena. In fact, I personally consider him to be the true father of modern mysticism. He saw the importance of proving evidence of existence between the visible and invisible worlds. Around 1850 he made a study of the phenomenon of table turning, or table tipping, and spirit tapping during séances (a séance is a sitting of a group of people for the purpose of spirit communication). One of Kardec’s friends had two very lively daughters. They were into ‘society’ and dances and having a good time, as most young women. These girls were also mediums and they would sit and receive spiritual messages that were usually fun and frivolous. The messages typically had to do with their lives and the lives of their peers. But, whenever Allan Kardec was present at their séances, the messages became very serious. When he enquired about this, he was told that the spirits that communicated with him were very high spirits. In other words, they were high up on the spiritual hierarchy or very advanced spirits, who wanted him to tell the world about the true spiritual and religious world. His communications with the high spirits lasted about two years. They conveyed that he was to publish a book titled Le Livre des Esprits (The Spirits Book) and that he was to use the name of Allan Kardec (not his real name) from a previous lifetime. The Spirits Book became world-renowned and his work has become the recognized text book of the school of Spiritualist Philosophy. It must be noted that there are also other respected texts on the subject. Many other associations and organizations were formed world-wide, and they also received similar information from spirit. Allan Kardec wrote four other works, also dictated by the high spirits. I have read the first two, The Spirits Book, as well as The Book on Mediums. I am currently looking for his two other works. These books do make a lot of sense, and you can see how Spiritism is tied to many other religions. If you are truly interested in studying the spirit world and Spiritism (French movement) or Spiritualism (similar movements prominent in most English-speaking countries), I highly recommend reading the works of Allan Kardec. Gabrielle-Claire is basically a spiritualist psychic reader. She gives the messages that her guides are giving her. She is also a gifted psychic healer and works with a senior member of the Aquarian Foundation. She gives readings and healings at her home, and also at a shop near to where she lives. You can have a reading from her at Psychic Access.com. By the way, the main difference between Spiritism and Spiritualism, at least in Kardec’s days, was that the phenomena of reincarnation did not concern Spiritualism followers. As this was at the heart of the new science that Kardec was studying, he decided to come up with new terms. Hi Gabrielle! Thanks so much for writing this article! 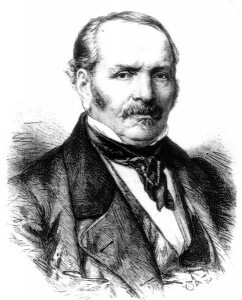 Allan Kardec’s works, and those of many others who had followed him, in the dissemination of Spiritism, are fantastic!